"ASH-393 is considered to be the most sophisticated humanoid ever created by man. He's the leader of the rogue humanoid rebellion." This is one of those weird little films we've never heard of, and yet it actually looks pretty cool. 2307: Winter's Dream is a futuristic sci-fi film set in 2307, of course, about a soldier sent on a mission to hunt down the leader of the humanoid rebellion. It was pointed out to me by the guys at Quiet Earth and pitched as a "Mad Max on ice", which is actually kind of accurate if you think of the very first Mad Max film. The cast includes Paul Sidhu, Branden Coles, Brad Potts, Anne-Solenne Hatte and Arielle Holmes. This looks like one of those sci-fi B-movies you'd get on VHS at the local video store. The year is 2307 A.D. The earth is frozen over and virtually uninhabitable. The manmade Chimeric Virus wiped out over 75% of the population. The remaining humans live underground, unable to survive the sub-arctic temperatures. With no “man power,” scientists bio-engineered Humanoids that possess great strength, speed, and tolerance to extreme cold. A rogue humanoid named ASH-393 escapes from captivity and threatens to lead a humanoid rebellion against mankind. Arizona Federation leader, General Trajan, sends an elite team of Spartan 7 soldiers to hunt down and terminate ASH. Decorated veteran humanoid killer, Commander Bishop, will lead the team and face his greatest foe. 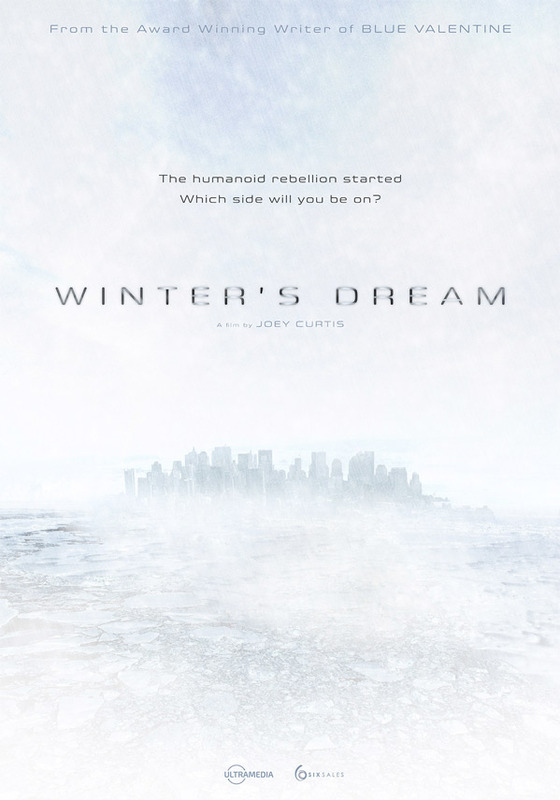 2307: Winter's Dream is written & directed by screenwriter Joey Curtis, from a story by Paul Sidhu. No release date is set yet as the film is still looking for distribution now, being sold in the Cannes Market. Stay tuned for more updates. Thoughts? Hopefully see it when it hits Syfy. Some good bits in there. The look is very sleek. But is there any meat under its skin ? Some cringe worthy readings...but maybe. Wait, I just watched a real trailer?